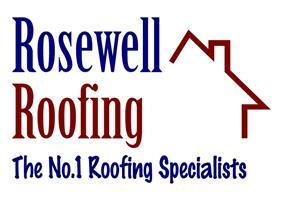 Rosewell Roofing - Roofer, Weather Coatings based in Morden, Greater London. Hi Guys, as proud members of Checkatrade we are always looking to provide our clients with the top quality service that they deserve. Check out our 10/10 reviews, our credentials and Trade related qualifications (NVQ2 - BSc (Hons) in Building Surveying) and know that you can call with confidence. You won't be disappointed. GUARANTEED! ** Great prices on Roof overhauls ** with bad weather on its way stay watertight with a roof overhaul to suit your budget!! To ensure a rapid response to your inquiry please include your full postal address and contact mobile/telephone number so that we can arrange an appointment that's convenient for you. Rosewell Roofing is a professional and experienced family run roofing company. New PVC Guttering, Facia and Soffit Boards. We provide free estimates and advice with no obligation. Local Authority Grant Work- normally for the elderly or sick. (Approved Roofers such as Rosewell Roofing have our work inspected By Local Authority Surveyors regularly). Commercial clients/ property management agents. We hold qualifications in Roofing, Lead work, Rendering and further academic qualifications in Building Surveying BSc (Hons) so you can be assured of good diagnosis of leaks and defects and most importantly the correct remedial action to be taken. We offer free advice, free estimates with no obligation.